Bramhall Park Physiotherapy Clinic is small friendly practice run by experienced physiotherapist Julie Davidson. Julie started the clinic in 2002. As her reputation grew the clinic quickly expanded and relocated to Fir Road in Bramhall in 2006. The clinic on Fir Road is a light, airy and very welcoming space. Since the move to Fir Road Bramall Park Physiotherapy Clinic has continued to grow. Sally Hewitt joined Julie in 2015 and more recently Clodagh Wilson & Dr. Sharon Braddock have arrived adding even more strength & talent to the clinic. Qualifying in 1989 from Salford, Julie started her career at Manchester Royal Infirmary and then moved to the Royal Manchester Children’s Hospital. ‘Working as a physiotherapist is enormously satisfying even after so many years. Physiotherapy is a science based profession and we are continually learning from new research and putting it into practice in our clinic thereby improving our treatments for all of our patients. It is essential to assess every person who comes into our clinic as an individual. Levels of activity must be taken into account when formulating a treatment plan and setting goals. Whether you work at a desk, drive for a living, have a heavy manual job or are the main carer for a loved one, you need to be fit and well. If you have pain in your neck and shoulder after a few minutes at a desk or driving, your back hurts if lift or carry things which are your regular working duties you will be unable to perform your duties to the best of your ability. Whether you’re a regular Park Run or marathon runner, golfer, tennis player, gardener, bowler, carer or spend your time running around after the kids, you need and want to be your best. We are all individuals and require different levels of rehabilitation. Sally has a wide variety of skills and experience from working with both adults and children in the local hospital and community for the past 10 years. 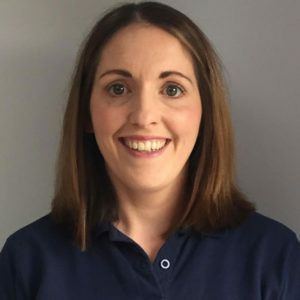 She has extensive knowledge across a wide variety of areas including musculoskeletal problems, neurology, paediatrics, respiratory and orthopaedics. Sally also has a lot of experience working with people who have complex, multi-factoral problems, helping prevent hospital admissions and working to reduce the risk of falls. 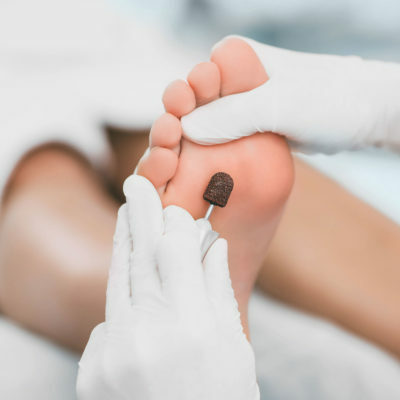 Additional recent additional training includes Bobath Therapy which is widely used in the treatment of neurological problems, postural assessment/body symmetry and Moving and Handling trainer training. Sally is a local girl having grown up in Bramhall. Outside of work she is kept busy looking after her young children and keeps fit by running, cycling and going to Pilates and Insanity classes. In 2005, I graduated from The University of Manchester with a BSc in Physiotherapy. I started my career in Hope Hospital in Salford gaining experience in a wide range of areas such as orthopaedics, neurology rehabilitation, respiratory, and musculoskeletal out-patients. I also worked for a rugby club in my spare time and enjoyed the challenge of rehabilitating the players back to match fitness and managing acute injuries on the pitch during match days. My main passion lay in musculo-skeletal (MSK) out-patients and I got a promotion and moved to work for Stockport NHS Foundation Trust. I wanted to further my knowledge and skills and have done courses such as acupuncture, shoulder rehabilitation course and the APPI pilates course. 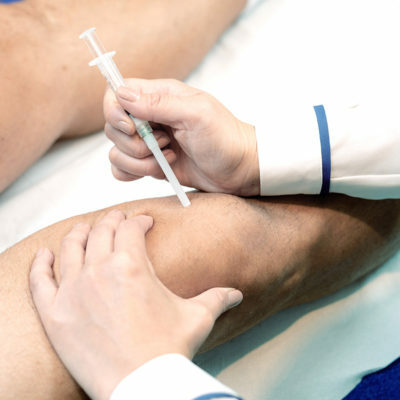 I am due to undertake my injection therapy course in 2019. My greatest achievement was gaining a Masters in Manual Therapy. This has widened my knowledge of various conditions and treatment approaches and enabled me to become a member of the Musculoskeletal Association of Chartered Physiotherapists (MACP). In my spare time I enjoy going to the gym and spending time with my family and two very energetic children. 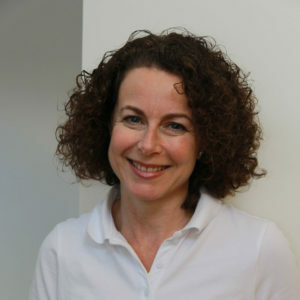 Dr Sharon Braddock obtained her BSc degree in Physiotherapy from the University of Manchester in 2001 and an MSc in Musculoskeletal Medicine at Middlesex University in 2008. She successfully completed her Doctoral in Physiotherapy at Manchester Metropolitan University in 2016. Dr Braddock has worked as a Clinical Lead for the Musculoskeletal (MSK) Physiotherapy Service in the NHS for more than 15 years. She is also an Associated Post-Graduate Lecturer in MSK Medicine across the UK including Manchester Metropolitan University and Queen Margaret University, Edinburgh. Senior positions in both primary and secondary care in the NHS and private sector have given Dr Braddock a wide spectrum of clinical experience in both acute and chronic MSK conditions. Her clinical expertise includes; injection therapy, chronic pain management and complex spinal disorders. Her main research interest is in chronic back pain and health locus of control. She is an Editorial Board Member of the International MSK Medicine Journal. 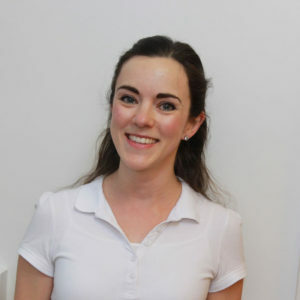 Dr Braddock’s unique combination of clinical, teaching and research roles provide her with experience in the latest clinical practice, techniques and technologies. Experience which enables her to offer a First Class service to every patient. Dr Braddock has received the prestigious NHS Employee of the Year Award and several NHS Education Award for her services to clinical practice over the years. In 2010, she was also awarded the reputable Teaching Fellowship of the Society of Musculoskeletal Medicine (SOMM). Dr Braddock lives in Bramhall with her husband and two young children – her personal rewards! With over 20 years of experience to call on, we can help with your back & neck pain, joint sprains and rehabilitation from injury. 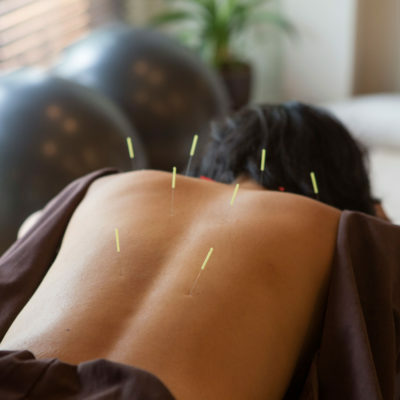 Acupuncture is one of the skills many physiotherapists use as part of our approach to the treatment and management of pain and injury. ‘I slipped a disc in my lower back in 2016, and I was in large amounts of pain in both my back and sciatic pain through my left leg. I attended weekly sessions with Julie to help my rehabilitation, through a combination of targeted exercises, weekly treatments and Julie’s extensive knowledge I made a quick and speedy recovery and I have even now booked a golf holiday for later in the year.